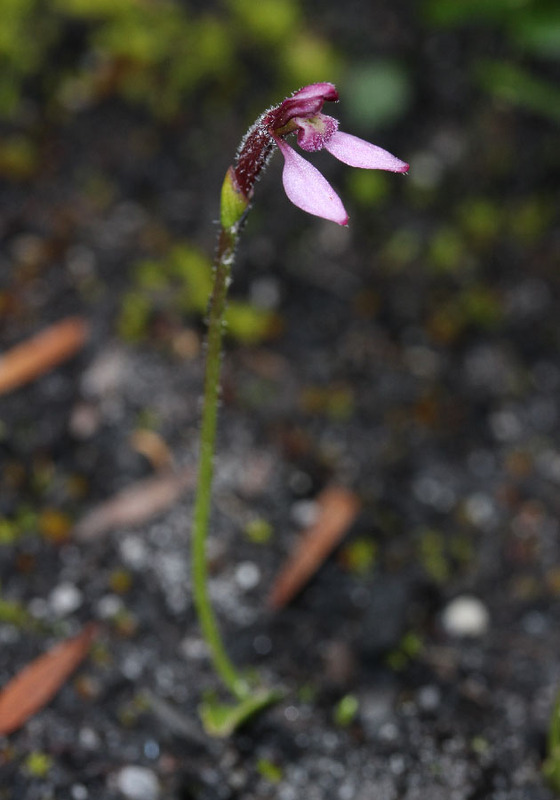 One of the earliest flowering orchids (March - June.) 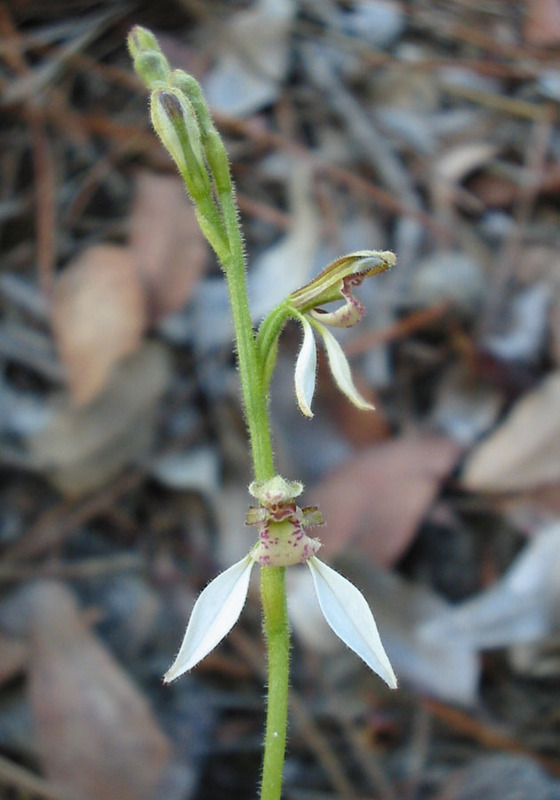 The name 'Eriochilus' refers to the woolly lip or labellum of the flowers. 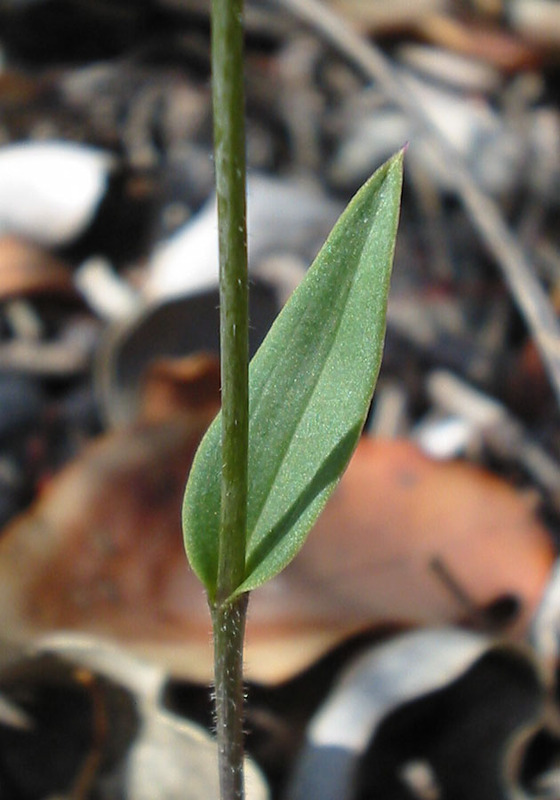 The leaves of this orchid are held above the ground on the stem. 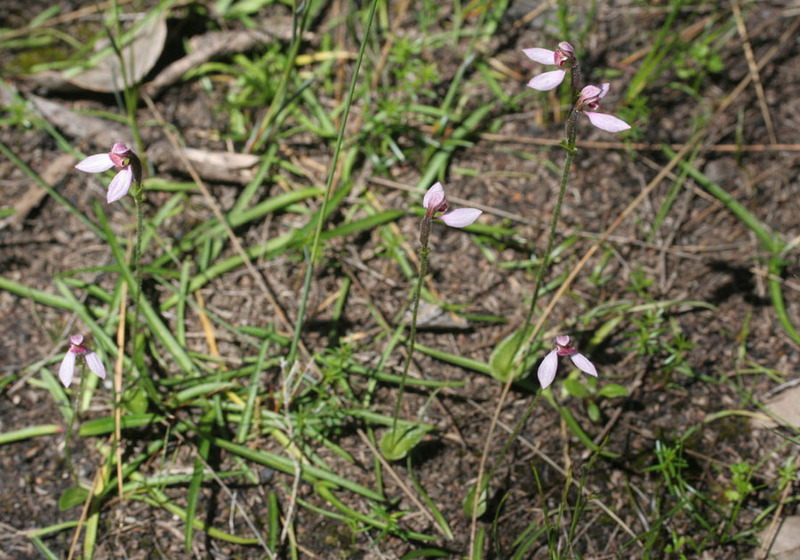 There are two main groups of bunny Orchids - the White bunny orchids and the pink bunny orchids. 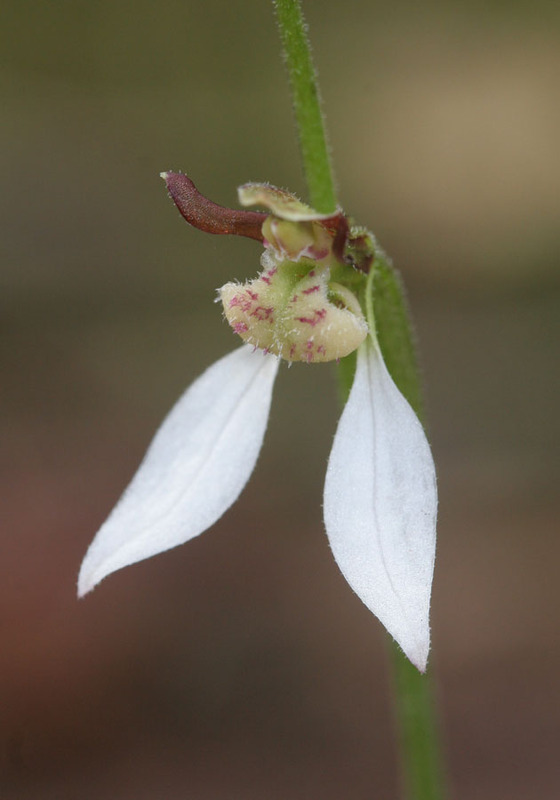 There are about 7 species of white bunny orchids. 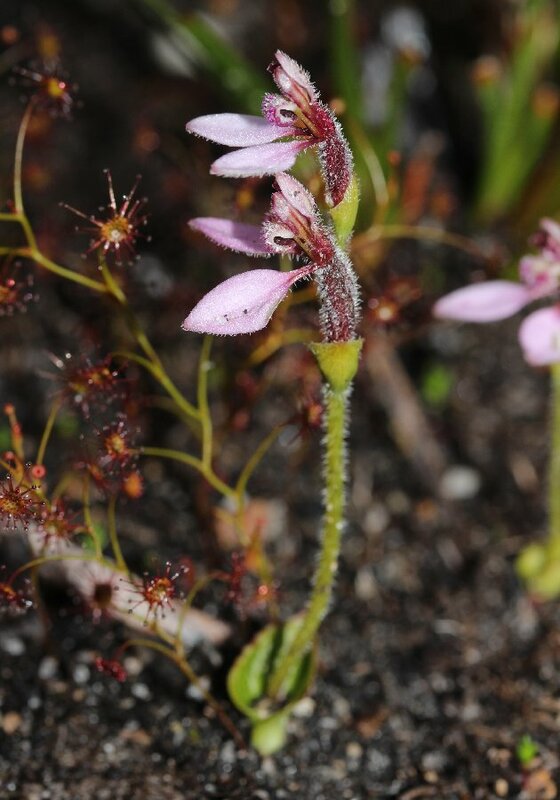 Most of them have very similar looking flowers, differing only by minor details on the flowers. The stems and leaves are more variable and are usually a better way of telling them apart. 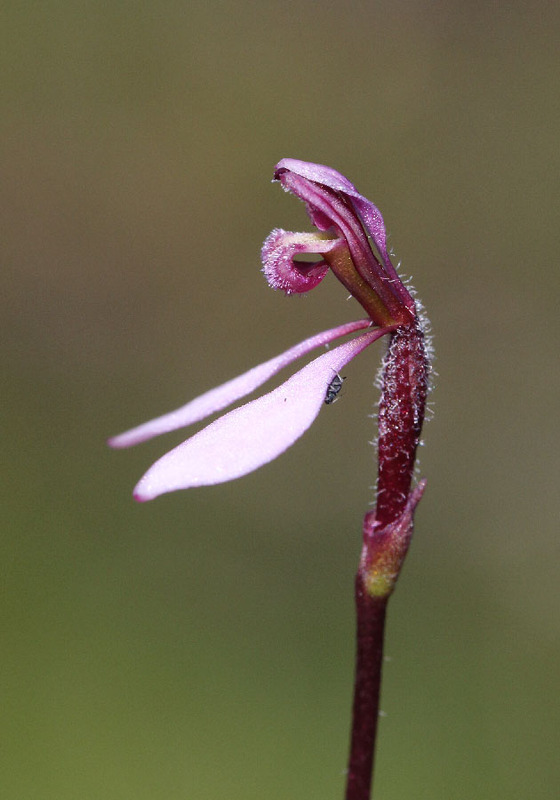 There are two species of pink bunny orchid, both of which have very similar looking flowers. 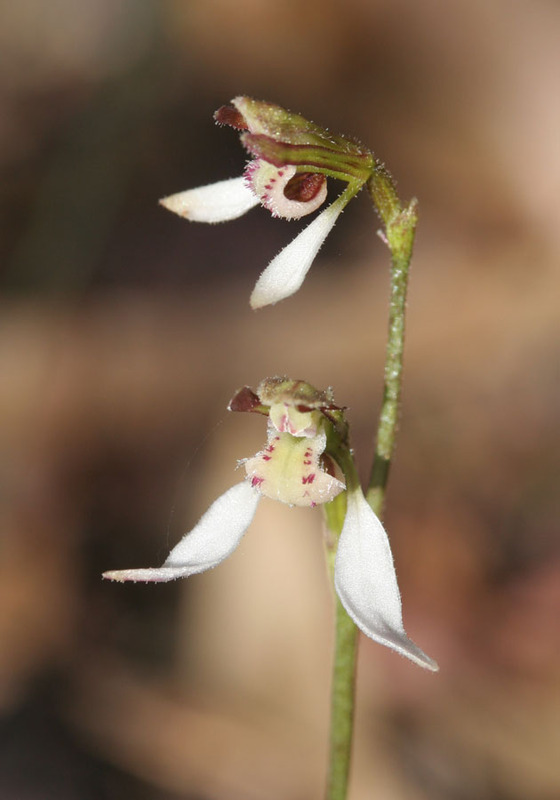 The Common Bunny Orchid is one of the first orchids to flower in the year, beginning in early April. 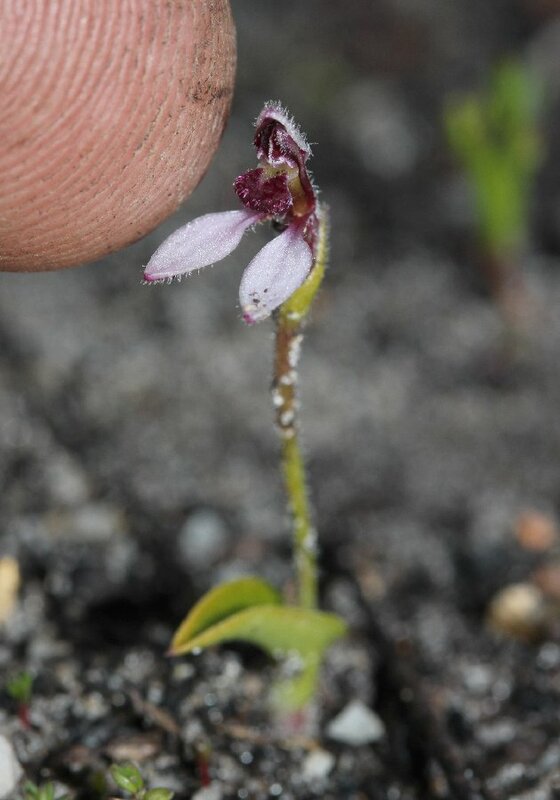 Each plant has from 2 to 20 flowers and reaches up to 40cm in height. 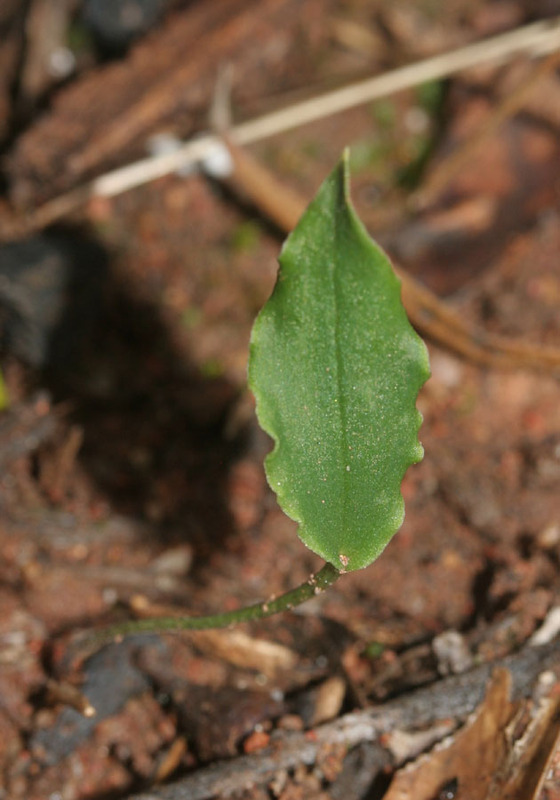 The leaf is is held up about 5 cm above the ground on the stalk. 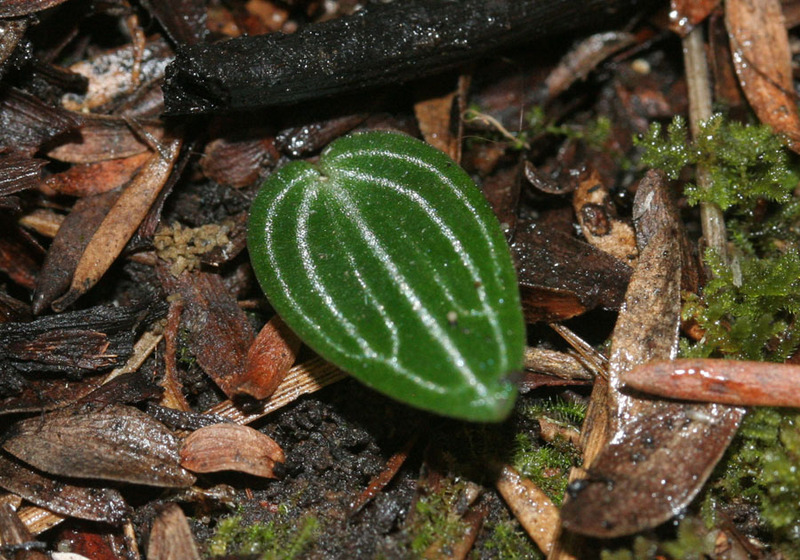 The Crinkle-leafed Bunny Orchid is distinguished by is leaf, which is crinkled along its edge. 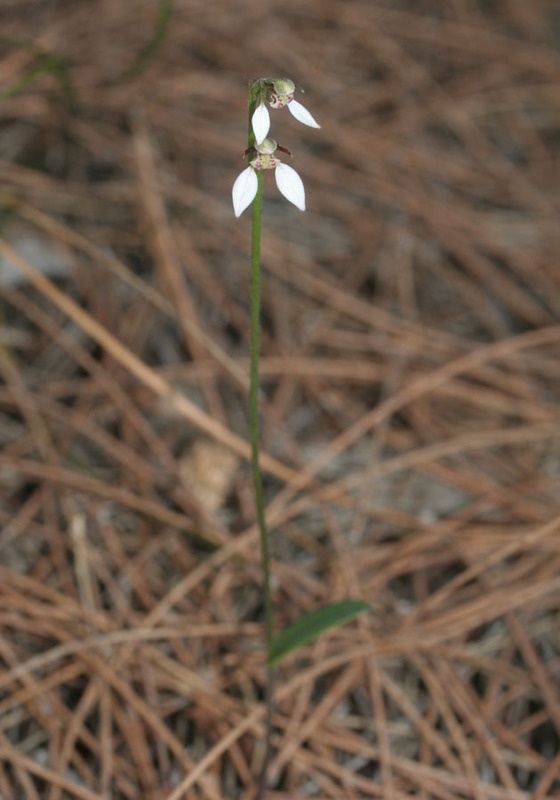 Plants usually only have 1-3 flowers per stem. 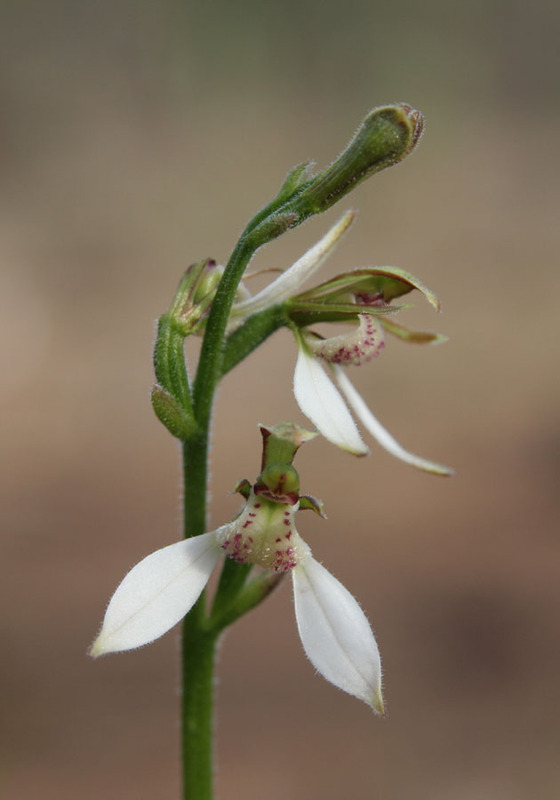 The flowers are much the same as those of the White Bunny Orchid. 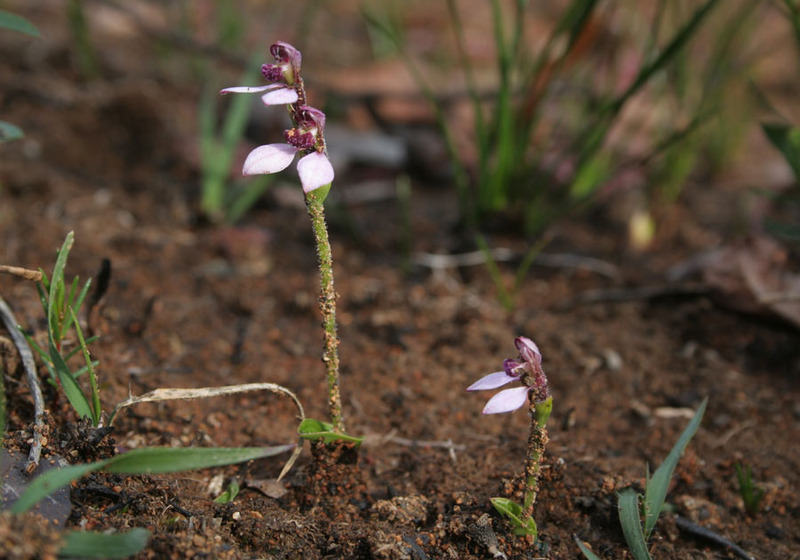 The Pink Bunny Orchid only flowers after a hot summer fire and flowering starts in June. 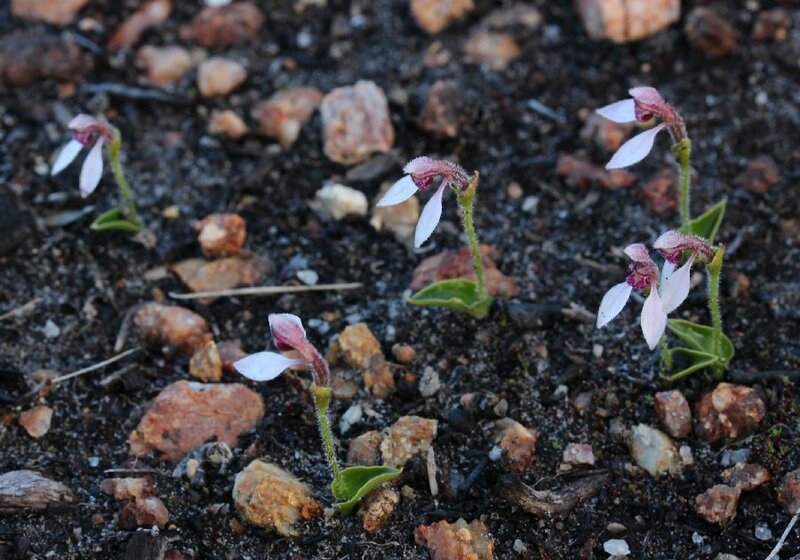 The plants are quite small, from just 3cm to about 15cm tall with 1-3 flowers. 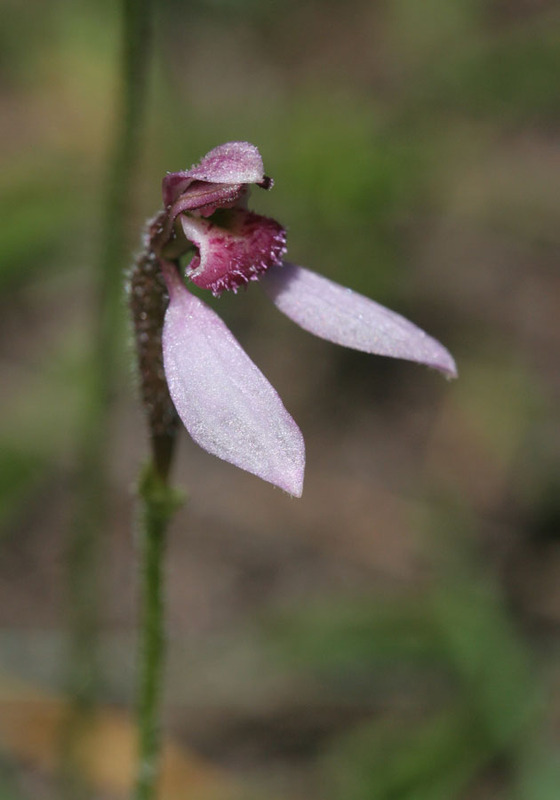 The Slender Bunny Orchid is very similar to the Pink Bunny Orchid and also only flowers after a hot summer fire. It differs in having a later flowering period (September-October) and paler and slightly smaller flowers. 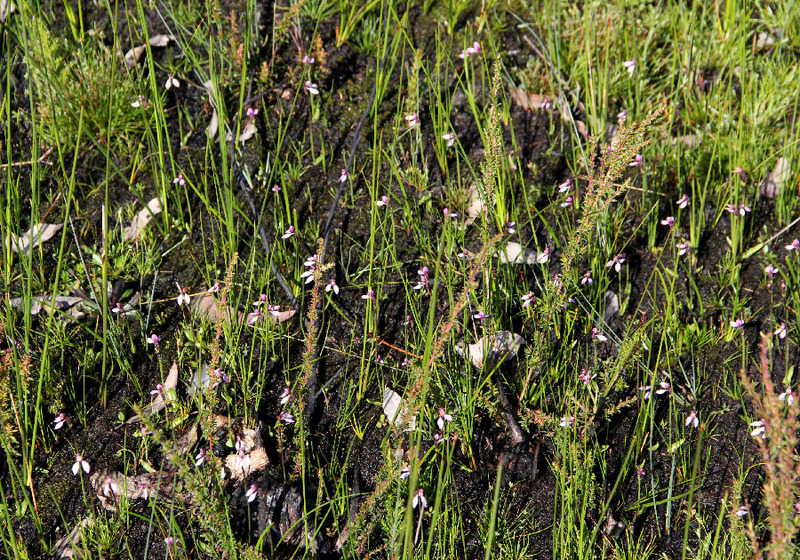 It is found in swampy areas.